The beautiful, 78-room Holiday Inn Express Hotel & Suites Fort Atkinson has all of the features you need at the price you want. The indoor pool and whirlpool, expanded continental breakfast and game room make it the perfect location for families. The Holiday Inn Express Hotel & Suites Fort Atkinson is the premier hotel for your corporate business travel.All guest rooms feature free high speed wireless internet access, large working desks, and two phone lines. Our location at Hwy 12 and Bypass 26is convenient to corporate clients Spacesaver, Highsmith, Metal Container / Anheuser Busch, Cygnus, Jones Dairy, Nasco, Fort Memorial Hospital, J-Star and Hoppe North America. 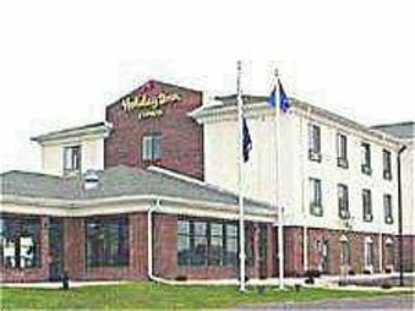 The Holiday Inn Express Hotel & Suites Fort Atkinson is the hotel of choice for the world renowned Fireside Dinner Theatre. Group tour rates are available. Make the Holiday Inn Express Hotel & Suites Fort Atkinson your home-away-from-home. Visit Fort Atkinson, WI and stay smart at the Holiday Inn Express Hotel. This hotel is committed to providing accessible facilities under the American Disabilities Act. If your accessibility needs are not met, please contact the Hotel Manager on Duty. Should you require additional information regarding accessible facilities for guests with disabilities, please call 1-800-Holiday (U.S. and Canada) or contact the hotel directly. For the hearing impaired, TDD service is available at 1-800-238-5544 within the U.S. and Canada.